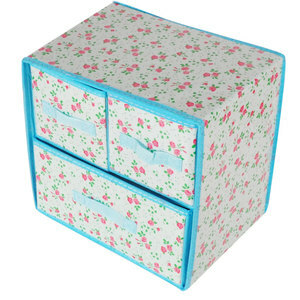 1 YRS Fyd Group Co., Ltd.
is your one-stop source for Contract, Home Storage Organizer& Fabric Home Goods Manufacturing. 4.SMALL ORDER ACCEPTABLE Small order is accepted for our hot-selling items, we treat every order well. : Q1:Are you a factory or trading company9 A: We are a Factory, Distributor and Trading Company. 2.Well-trained & experienced staff are to answer all your inquiries in English of course. 4.Your business relationship with us will be confidential to any third party. 5.Good after-sale service offered, please get back if you got question. 4 YRS Fuzhou Usmile Profit Imp. & Exp. 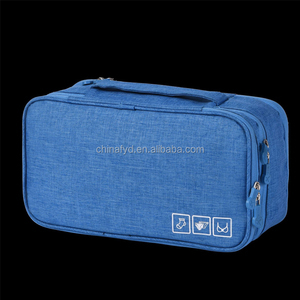 Co., Ltd.
5 YRS Xiamen Foreveryoung Import And Export Co., Ltd.
,Ltd Product Name Portable Multi-Functional Lingerie Case Travel Bra Socks Underwear Organizer Brand 4everY Model No. Final ware house inspection while packing up all the products. If there is no other quality concerns, our QC will issue the inspection report and release the product. Fast delievery we will deliver products on time after confirming the order. We will try our best to meet your needs If you have special requirements. we will send you an catalogue with sample after receiving you enquiry. We have a professional sales team, that can provide you the competitive prices in 24 hours after receiving your requests. Inspection Process Quanzhou Skywell Bags Co Ltd 1) Inspect all the material when arrived, ensure they will match customers' requirements. 4 )Final inspection while packing up all the goods, if there are no problems, QC will issue final inspection report and releasethe goods. 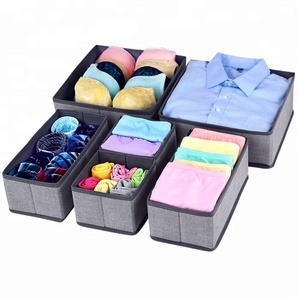 Alibaba.com offers 563 lingerie organizer products. About 31% of these are storage boxes & bins, 8% are travel bags, and 1% are storage holders & racks. 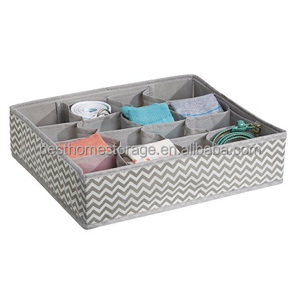 A wide variety of lingerie organizer options are available to you, such as fabric, plastic. You can also choose from clothing, sundries, and tools. 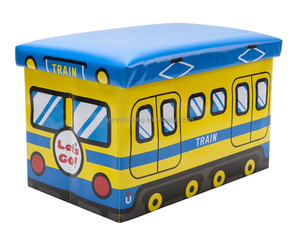 As well as from organic cotton, non-woven fabric, and linen. And whether lingerie organizer is free samples, or paid samples. 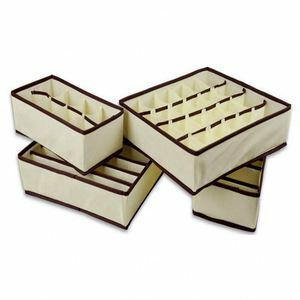 There are 563 lingerie organizer suppliers, mainly located in Asia. The top supplying country is China (Mainland), which supply 100% of lingerie organizer respectively. 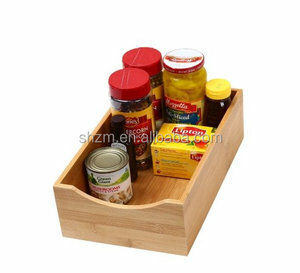 Lingerie organizer products are most popular in North America, Western Europe, and South America. You can ensure product safety by selecting from certified suppliers, including 72 with ISO9001, 52 with BSCI, and 25 with Other certification.